Over the past few years acclaimed singer- songwriter Karin Page has carved a name for herself with a body of work that reflects her own restless spirit. 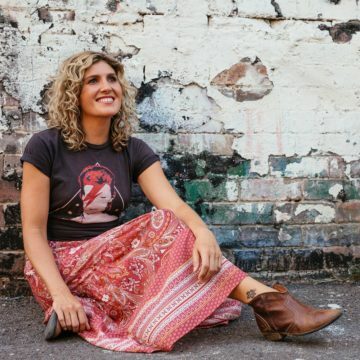 What drives Karin is a motivation to stretch her limits as a songwriter and performer, soon to be evidenced in the 2019 release of her debut album with producer Jordan Power (Kasey Chambers, Angus Stone). Hailing from Perth but now based in Byron Bay, Karin is happiest when she is on the move, hugging the coastline in search of a wave - taking inspiration from the world around her. It's an approach you can hear in the evolution of her music. Across a number of releases - including her striking self-titled 2017 EP - Karin's songs shine with honesty and a growing confidence. Yes, the country influence rings through, but dig deeper and there is much more going on here. Along the way Karin has collected a loyal army of fans across the country, and a brace of impressive awards including the coveted Toyota Star Maker Award in 2016. More recently she won the Single of The Year, Video of the Year and People's Choice Award at the 2018 WA Country Music Awards; and Female Artist of The Year and Songwriter of The Year at the 2017 WA Country Music Awards. For an artist that has already come so far, it's pretty clear that Karin Page is just getting started.